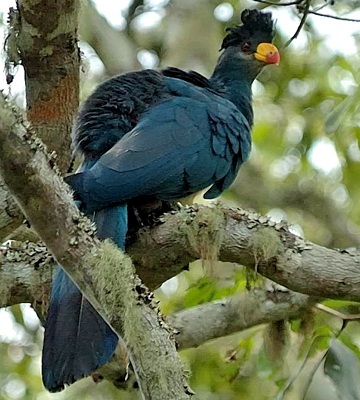 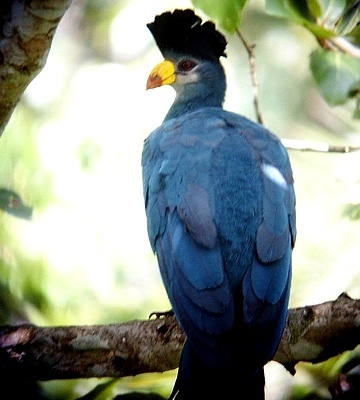 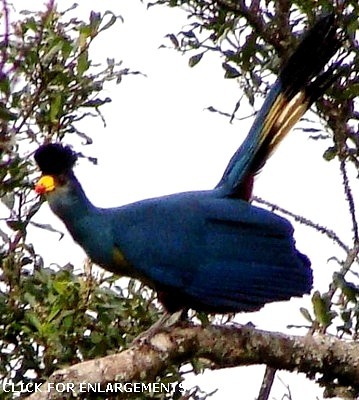 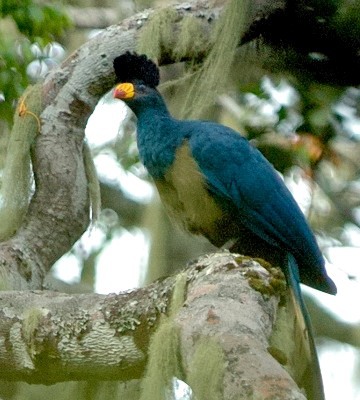 The largest of the turacos, the adult great blue turaco measures up to 75 cm. 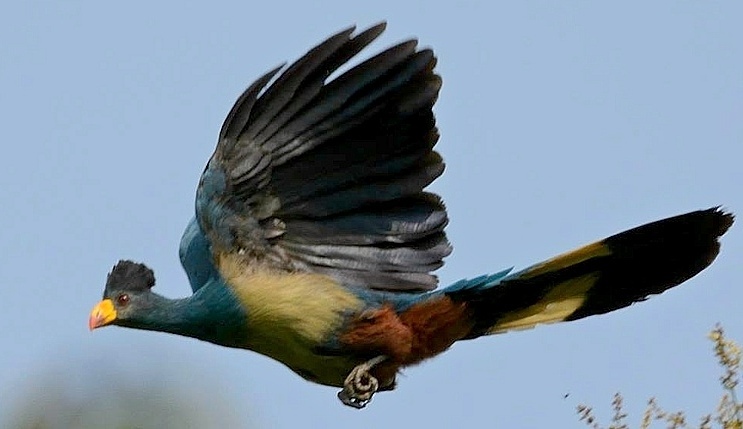 The flight photo was taken in the Minziro FR (7-16), courtesy of Florence Holmen. 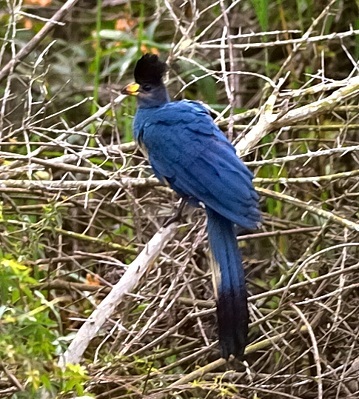 The middle four photos were also taken in Minziro FR. 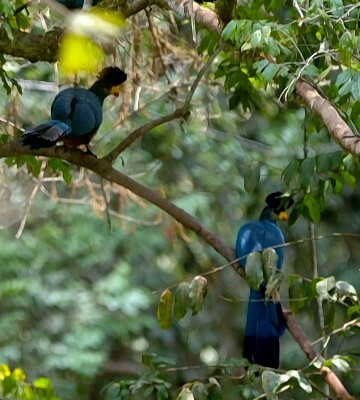 The displaying bird was seen Nyungwe (Rwanda, 12-09), courtesy of Jason Anderson; click it to see six enlargements.